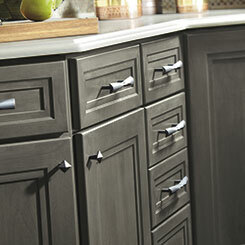 Picking the best hardware for your kitchen cabinets can be a daunting task, but such an important one to get right! With so many directions to go in, it can be hard envision what you want and then make it happen. 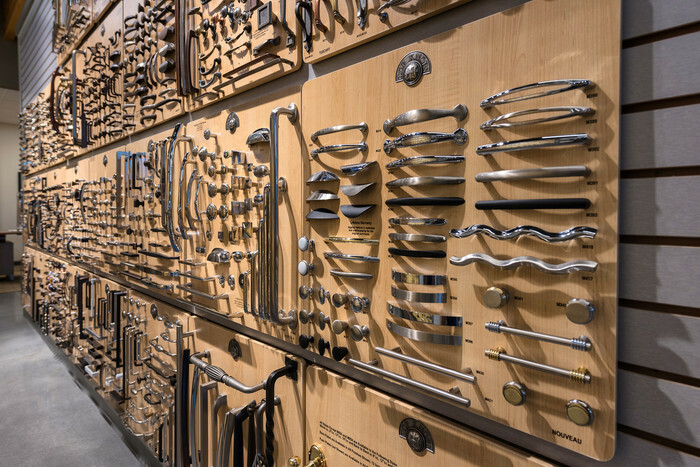 We’ve created a step by step guide to help you focus on what’s important and walk you through the top considerations when selecting your kitchen cabinet hardware. The first step to picking the right kitchen hardware is to make a detailed list of everything you have and everything you will need. You will be taking this information into consideration when selecting your designs, and you don’t want to miss anything! Starting with what you have, jot down the cabinet colors and layouts you currently have, and move to what you will need. When making design choices, often seeing a tangible example can help inspire your decision. There is no replacement for being able to see and feel the way a certain product works in different environments. One of the first steps should be visiting a design center which has a variety of products on display for you to interact with. Design centers also have a wide variety of unique options not typically found in the average hardwware store. You might be surprised by a certain design standing out from the crowd, and it wasn’t one you originally thought about! In every art school 101 class, the importance of porportion in art is identified – how different proportions communicate radically different meanings. Large and overwhelming objects placed in comparison to small dainty objects can easily overwhelm the eye, and visa versa. Think of your new kitchen as your blank canvas, and make an assessment of what your desired aestetic outcome is. 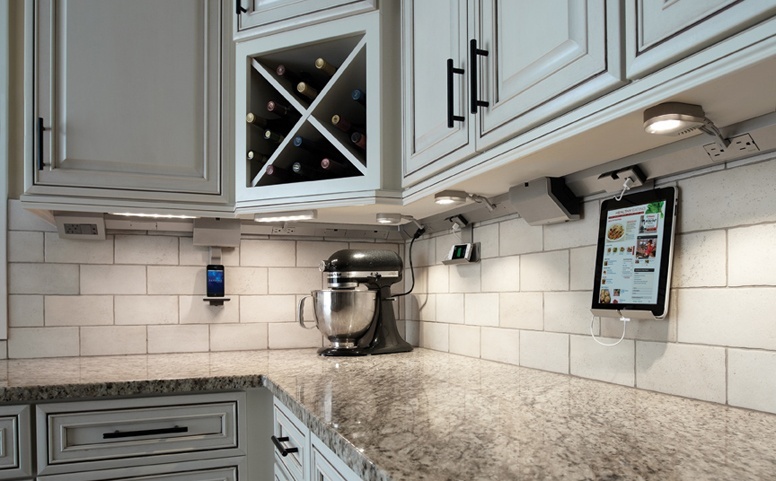 Our partners, Hardware Resource, have a great tool to help you visualize the proportion of your kitchen hardware compared to your cabinets. The kitchen market has been flooded with a wide range of finishes – from brushed metal, gold, bronze, copper, brass, nickel, glazed, the list goes on! 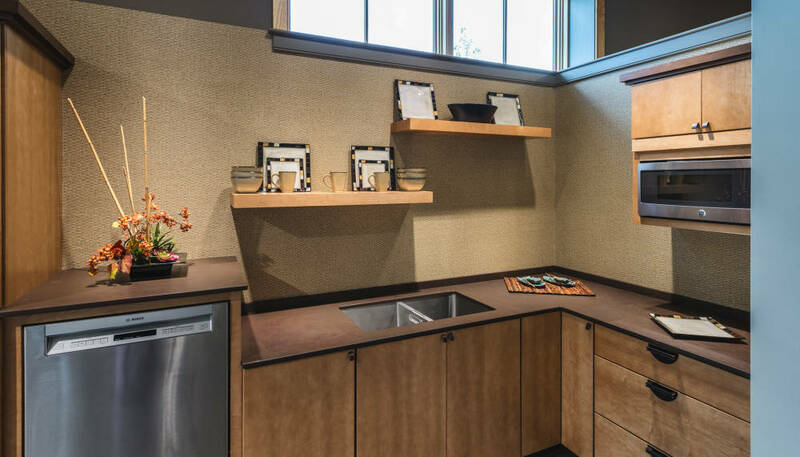 Think through what finishes will look best against your cabinets and appliances. There are tools available to help you visualize and make those decisions. It has even become envogue to mix and match finishes. You might also want to consider whether you want to use non-traditional materials such as glass or porclain for your hardware. You can also consider things like anti-microbial properties, rust factor, durability, and re-sale value. Some metals such as silver are known for their germ fighting properties, others, like stainless steel need to be wiped down frequently to avoid germ build up. Durability is another important factor – stainless steel tends to be a popular choice as it holds up well to high-use environments, whereas nickel tends to become dull, and something with a metal core could possibly rust or flake. If you are looking to sell your house in the near future, some of the most popular finishes are satin nickel, bronze, and chrome. A new homeowner excitedly went through the recommended process of picking out their favorite hardware, but upon their own installation, realized that the corner drawers were rendered completely unfunctional. The handles chosen were blocking full access to other drawers, and they scraped the side of the opposite drawer when they were being pulled out, resulting in marks to their brand new custom cabinets. Had they consulted or hired a professional, they would have saved themselves a lot of time and grief including choosing new hardware, repairing the scrapes on the cabinets from the drawer pulls, and going through another installation process with the new drawer pulls. A design professional or contractor can assist in making sure everything is on track for a successful installation the first time around! 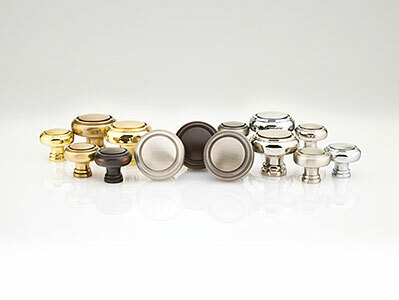 By considering these 6 steps, you should be well on your way to adorning your kitchen with some beautiful and fitting new hardware!